That’s all she wrote. The fat lady has sung. Arsene Wenger has called it time on his managerial reign at Arsenal. A man whose name is so synonymous with the club it looks like they were named after him. Wenger is basically all I’ve ever known at Arsenal. I am 26-years-old (newly, thank you for the birthday wish you’re thinking of in your mind), and he has served as Arsenal manager for 22 years. In those 22 years, Wenger signed 104 players as manager of Arsenal; some good, some not so good. Here is my list of Wenger’s top 10 signings at Arsenal. This may be karma for including another player further on in this list, but Sanchez was the most exciting player Arsenal have had in a long time. Neymar’s arrival at Barcelona in 2013 meant the door was open for Sanchez to leave. He joined Arsenal for £31 million in 2014 and quickly established himself as Arsenal’s best player. He scored 80 goals in 165 games for the Gunners before moving to Manchester United in January 2018. Infamously branded “Le Sulk” throughout his career where he turned into a bit of a journeyman, Anelka was one of Wenger’s early success stories. Signed for just £500,000, he came into the first team fold after an injury to Ian Wright in the 1997-98 season and became a key player in their league and cup double. Anelka was Arsenal’s top scorer in the 1998-99 season, form which saw him voted PFA Young Player of the Year, before he moved to Real Madrid for a fee of £22million. Renowned for his speed and technical ability, Overmars was one of the fastest players over a short distance. 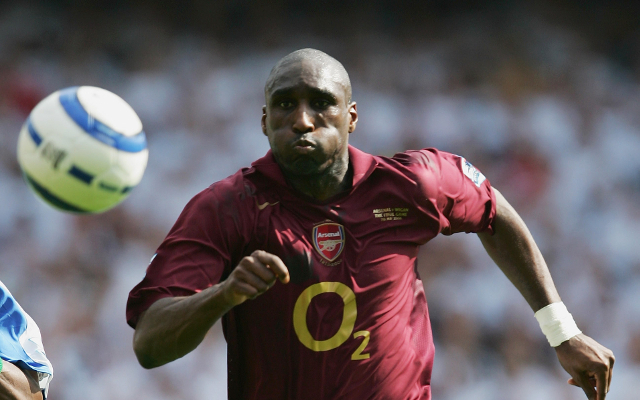 Like Anelka, he became a focal point of the Arsenal team which trumped in the league and cup, scoring the opening goal in the FA Cup final against Newcastle, and netting a vital goal against Manchester United at Old Trafford in the title run-in. He became the most expensive player in Dutch football history in 2000 when he moved to Barcelona in a deal worth £25 million. Signed for a relatively modest fee of £500,000 which was merely compensation to Barcelona, Fabregas was one of the players to shoulder the burden of the outgoing Invincibles team. It was not a burden that he took lightly, making 212 appearances for Arsenal and being named captain in 2008, at just 21-years-old, before leaving to rejoin his boyhood club in a deal worth £35 million in 2011. This one is payback for the presence of Sanchez on this list. I’m happy that equilibrium has been restored. Campbell is still a sore spot for Tottenham fans, which is exactly why I have included him in this countdown. Campbell fooled the world, and perhaps even himself, by saying that he was categorically staying at Spurs in a TV interview in 2001… a few months later, Big Sol’s contract expired, and he made the very short journey to Highbury where he enjoyed immediate success, winning the double in his first season and then becoming a part of the Invincibles team producing rocksteady performance after rocksteady performance. In 2003, Campbell was recognised for his dominant performances as he was named in the PFA Team of the Year. He was also involved in the Arsenal defence that went ten consecutive matches and a total of 995 minutes without conceding a goal en route to the Champions League final in 2006. We’ll stop this one there. He’s now universally known as “brother of Yaya” and the other half to the catchiest football chant of the last few years, but Kolo was something of a cult hero at Arsenal. Signed in 2002 from ASEC Samosas, sorry, I mean Mimosas. Toure infamously injured Bergkamp, Henry and Wenger on his first trial session which endeared him to the Arsenal manager, making him fork out a measly £150,000 for his services. Toure made 326 appearances across all competitions for Arsenal, becoming a key member of the Invincibles squad and the defence that finished as runners-up in the 2006 Champions League. He moved to Man City in 2009 for £14million. His Arsenal career was cruelly cut short in the 2006 Champions League final as he was sacrificed after just 20 minutes following Jens Lehmann’s red card, but Pires was an influential player in Wenger’s most successful years as Arsenal manager. The dazzling Frenchman was signed for £6million from Marseille in 1999. He featured in the PFA Team of the Year for three consecutive seasons between 2001-2004, was voted the Football Writers’ Association Player of the Year in the 2001-02 season and Arsenal’s Player of the Year the same season. Both of those came despite Pires missing the last two months of the season after he suffered a cruciate ligament injury. He sported a red mohawk after his £3million move to Arsenal, something which endeared him to the Highbury faithful, and a debut goal against Man United in a 3-0 win wasn’t bad either. In the double winning 2001-02 season, Ljungberg came to the fore as one of Arsenal’s most reliable players. He scored a stunning goal in the FA Cup Final against Chelsea, one of 17 goals he scored in all competitions. He was also a major part of the 49 game unbeaten run. In 2007, after nine years, he left Arsenal for West Ham. The complete midfielder. Vieira is a Premier League icon whose battles with Roy Keane stick in the memory for most more than his box-to-box performances, but Vieira wasn’t just a gangly Superman to Keane’s Lex Luthor. Vieira won three Premier League titles at Arsenal, two of which he was captain for, having taken the captaincy after Tony Adams retired in 2002. He was captain as Arsenal went 49 games unbeaten, adding steel to the Arsenal midfield, as well as a grace that was overlooked due to his frame. My hero, my mate. Going from Juve flop to one of the Premier League’s greatest ever imports, Henry was the envy of the entire league and the scourge of anyone who came up against him. He scored 228 goals in two spells at Arsenal (one eight year period and a two-month loan), winning three Premier League titles, three FA Cups, four Golden Boots and five Player of the Year awards. I cried at five of his goals, a fact I’m not ashamed to admit.